Hey everyone, I’m back!! 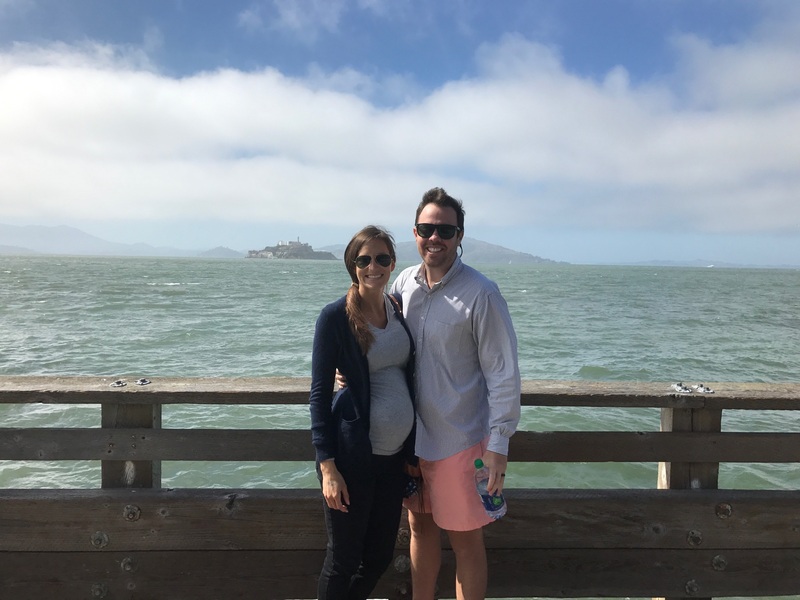 I took an extended hiatus from blogging due to the birth of my first baby and have been itching to get back to writing about our travels on a regular basis. So now that I’m back, get ready for some upcoming trip recaps that involve traveling with our new little buddy! But first, we have to catch up on last summer’s trip to Northern California and Hawaii. 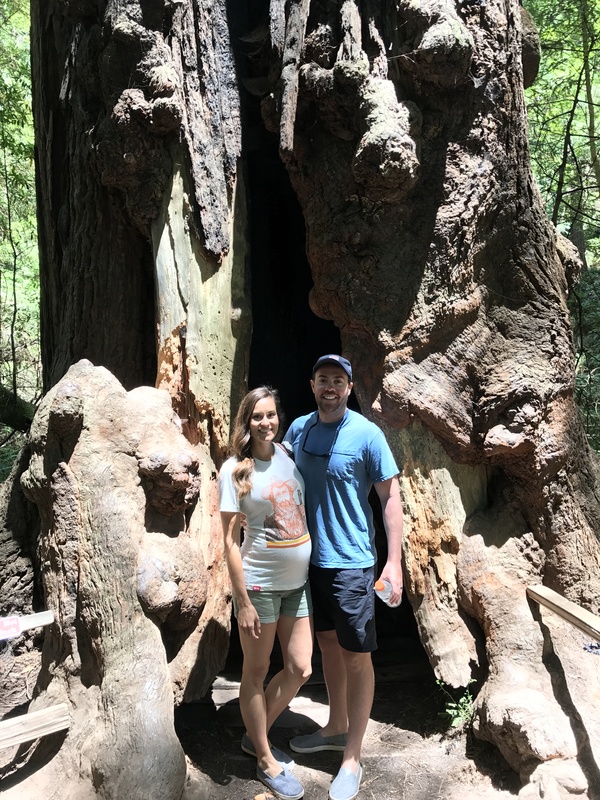 I was just starting the third trimester so we dubbed it our babymoon, even though the trip had been planned before I was even pregnant. Alex and I had talked about a trip to California for about 7 years and finally decided to make it happen. And since it took so long for us to get to the west coast, we decided we might as well add on Hawaii to the itinerary. I’m so glad we did! The whole trip was out of this world. True to form, it was all about equal parts adventure and relaxation, with of course, a heavy focus on food. 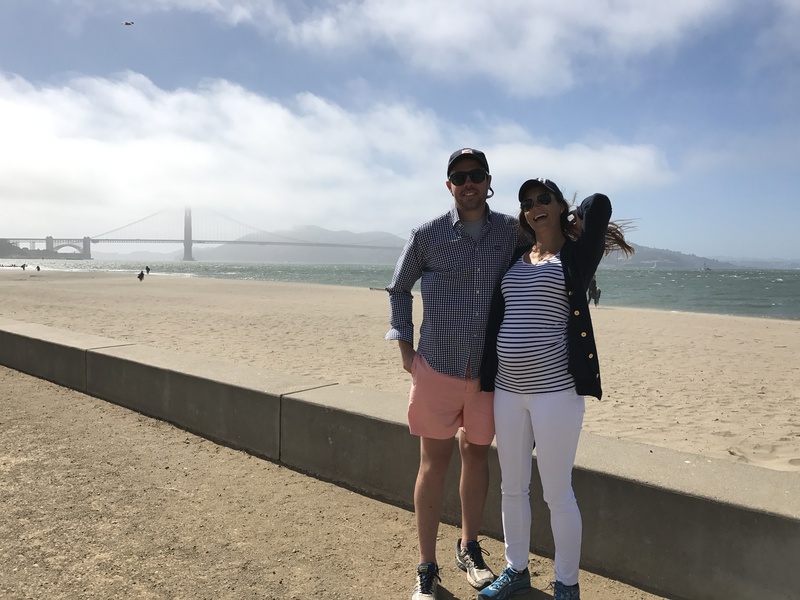 We started our two-week vacation in San Francisco. 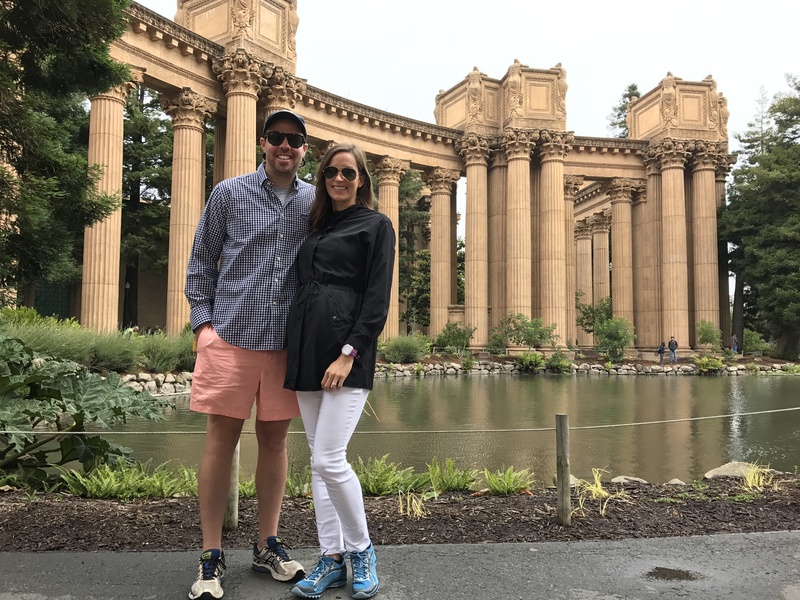 Since I’d only been to the city as a small child and Alex hadn’t been at all, we wanted to spend time doing the usual touristy things as well as suggestions recommended by one of my best friend’s from college and her husband. I have to give them big thanks because they basically planned our entire time in San Francisco as well as hosted us for a wonderful weekend in Santa Cruz (more on that in the next post). Since we were coming from the east coast, the time change was in our favor and we arrived mid-morning ready to attack the day! We never quite adjusted to Pacific time, so typically we were in bed and up early each day. 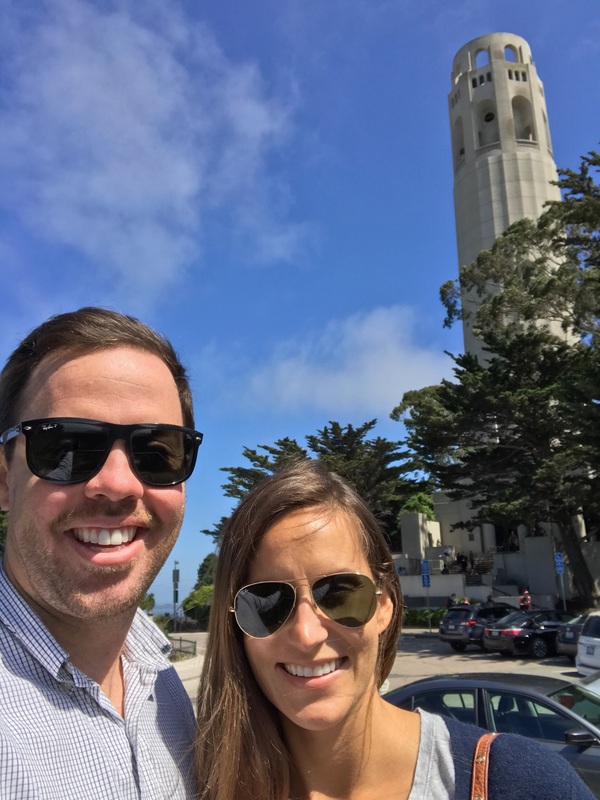 We spent wonderful four days checking off our SF bucket list and eating delicious California cuisine. Now onto our recommendations for things to do in San Francisco:Take Uber everywhere. As the city where Uber was created, it will come as no surprise that there are Ubers (and Lyfts) constantly around. All you have to do is download the app if you don’t already have it and you’ll be ready to hop in one at any moment! Click here to download. 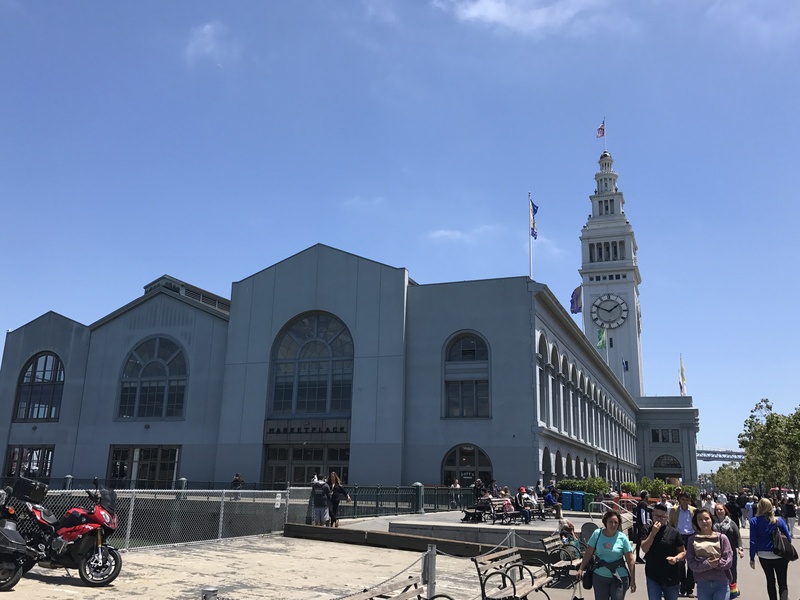 Have lunch at the Ferry Building Marketplace. We enjoyed a lunch of grilled cheese, empanadas, and ice cream outside on a beautiful day. 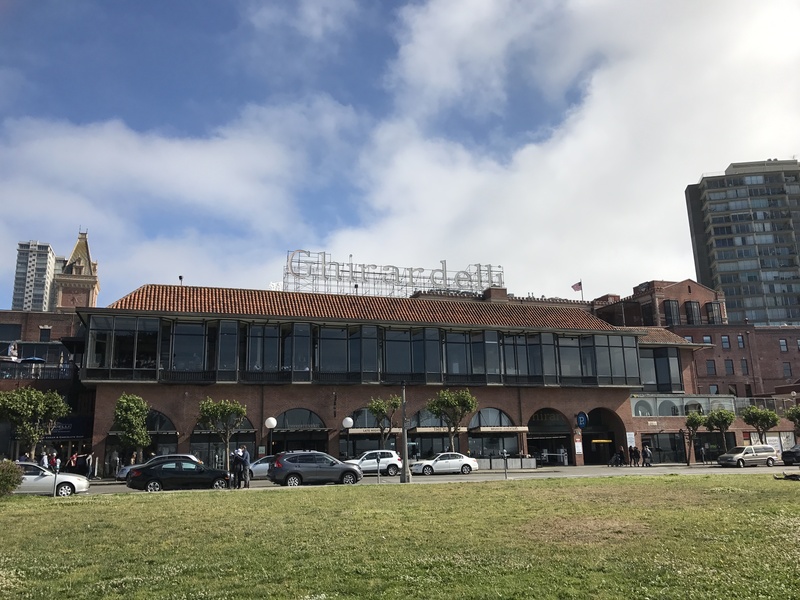 After soaking up the sunshine, we took a nice stroll down the Embarcadero. 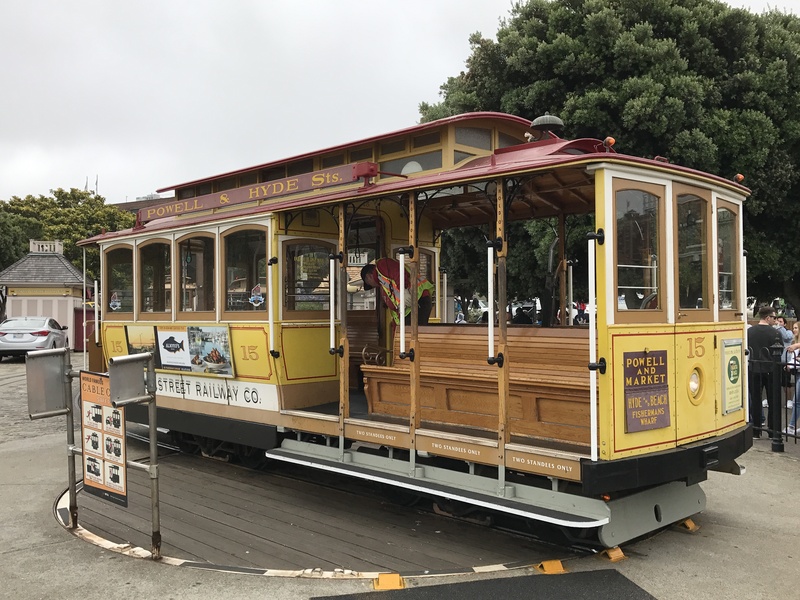 It runs all the way to Fisherman’s Wharf so if you don’t feel like walking the whole thing, you can always hop in a pedicab or streetcar. 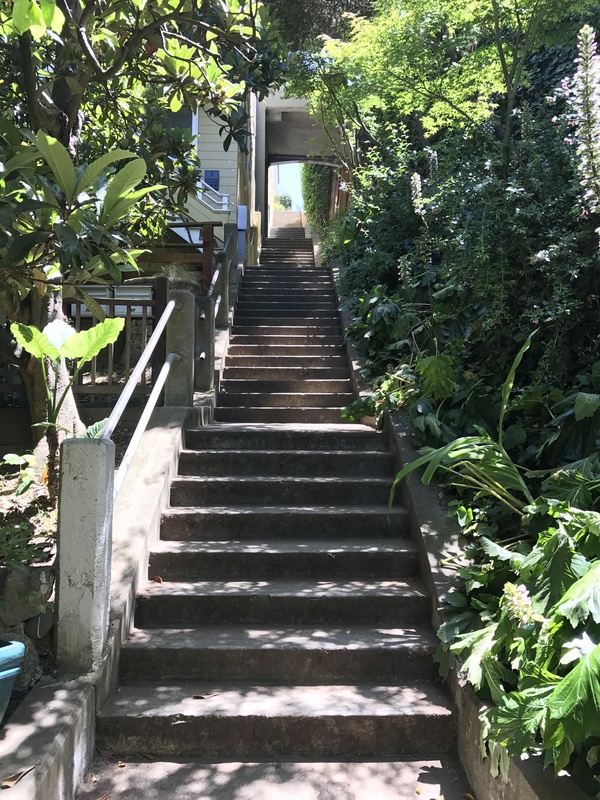 Climb the Greenwich Steps up to Coit Tower. 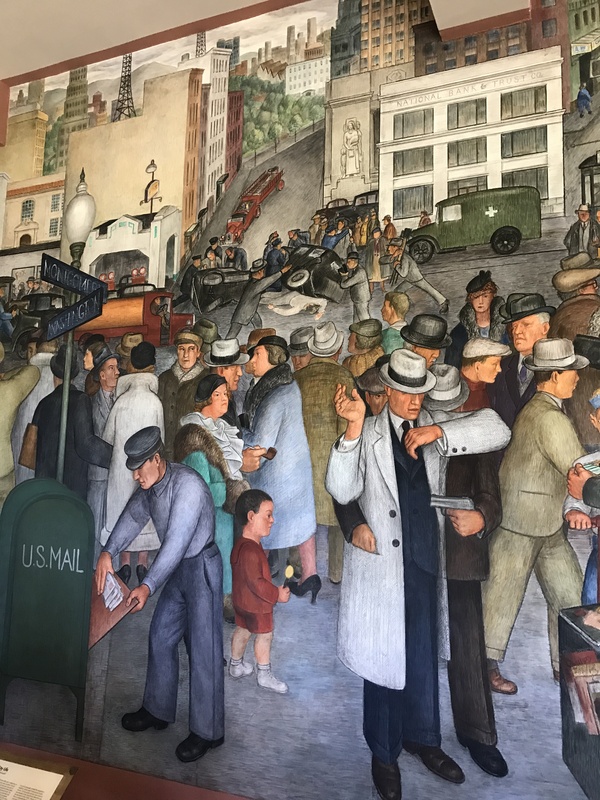 You can take the elevator to the top for beautiful views of San Francisco and the Bay area and admire art deco murals while waiting in line. 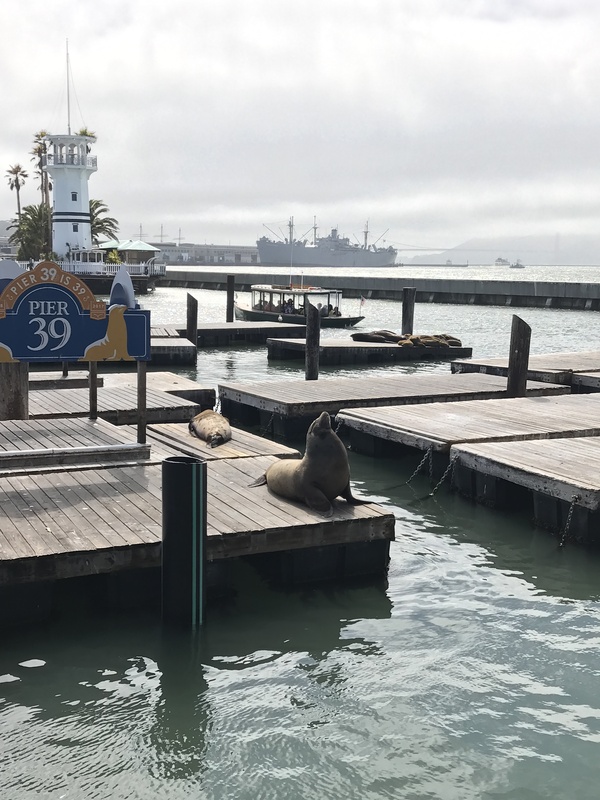 See the famous sea lions at Pier 39. We were there in late June and there were only a handful of sea lions since it wasn’t the right season. We learned that most of the sea lions migrate to Southern California to mate so the only ones that stay behind are either too young or too old to worry about breeding. Local biologists are stationed at the pier to answer questions and provide mini-lectures to those who are interested. 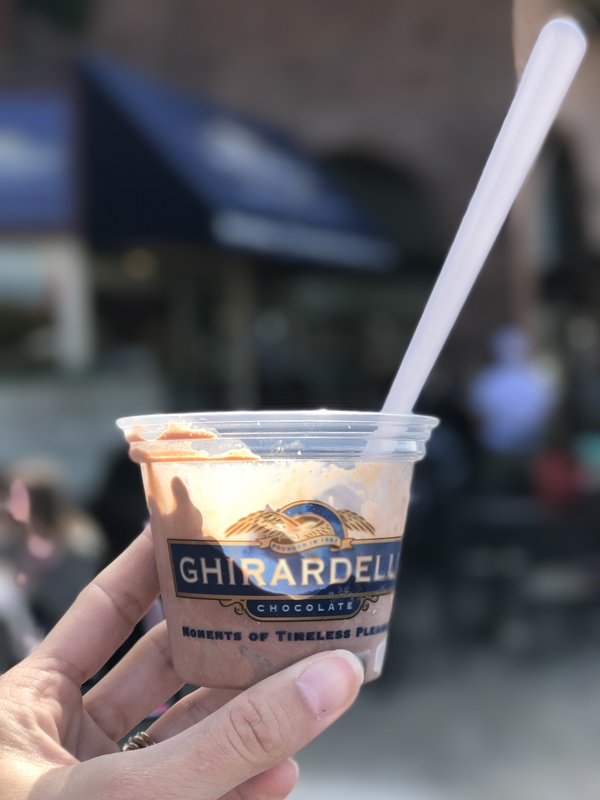 Have ice cream at Ghiradelli in Ghiradelli Square. No explanation needed! Walk to Fisherman’s Wharf for sourdough bread and crab chowder. 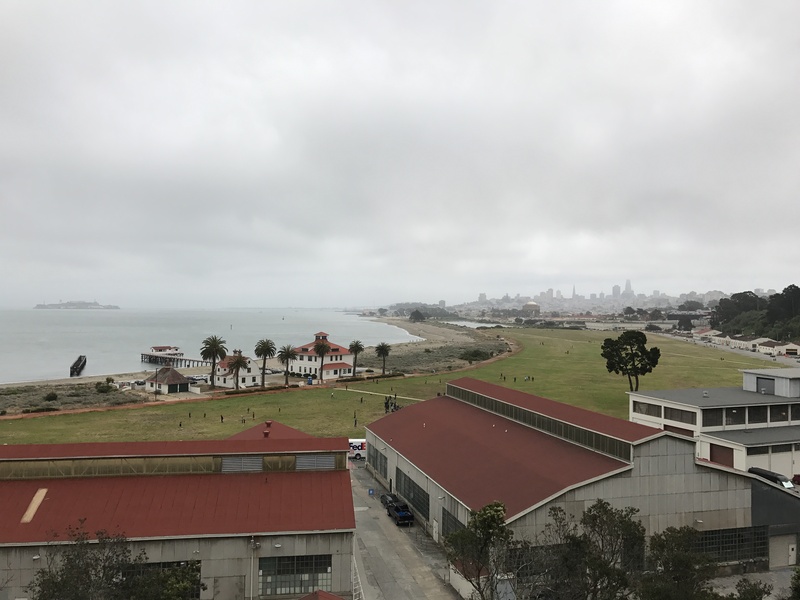 Fisherman’s Wharf is just a short walk from Pier 39, so when you’re done playing with sea lions, go to the famous Boudin Bakery for a snack of sourdough bread. Did you know that sourdough is only made in the Bay Area? I had no idea! 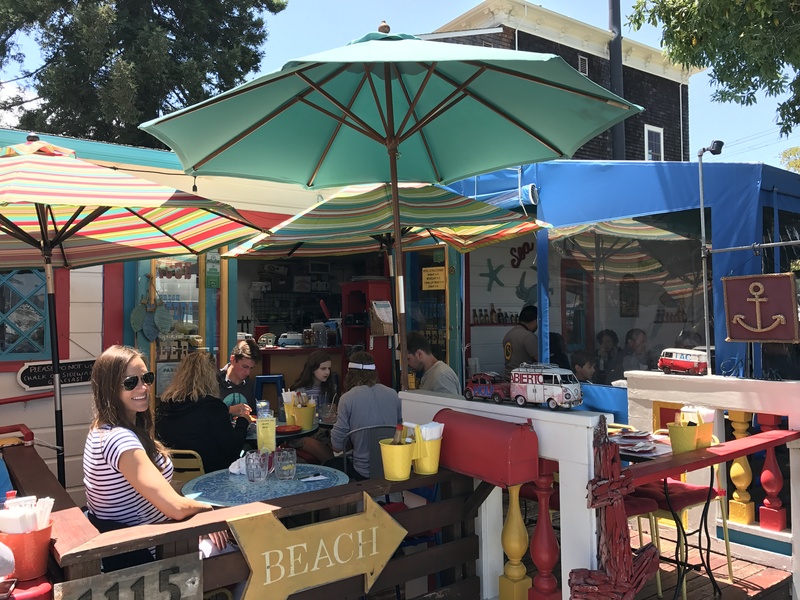 We also recommend getting a lunch or dinner of crab chowder at Crab Station and lobster bisque at Nick’s Lighthouse, served in sourdough bread bowls of course. Have dinner at Cala. Cala is a delightfully bright restaurant that offers majorly elevated Mexican food and is designed for group dining. We went with our friends and shared several outstanding dishes along with cocktails and mocktails. 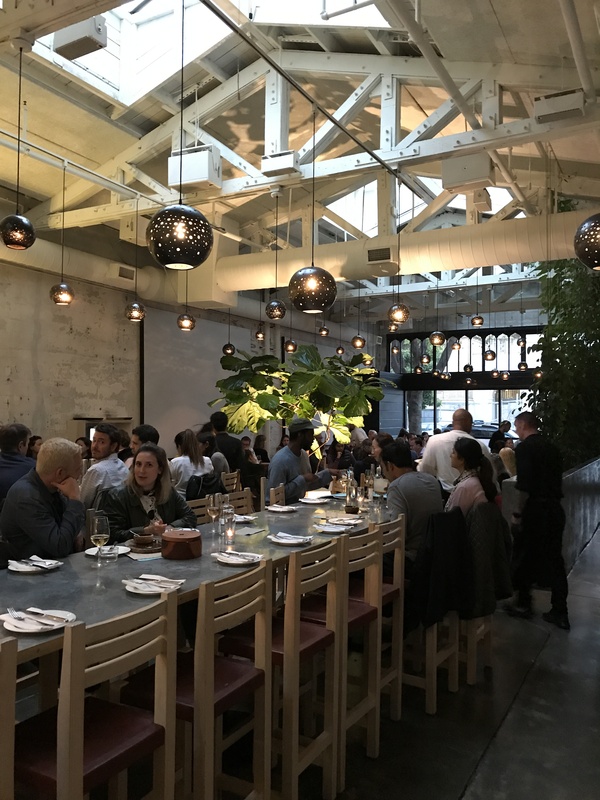 What to order at Cala: Trout tostadas, black bean sopes, sweet potato with bone marrow. 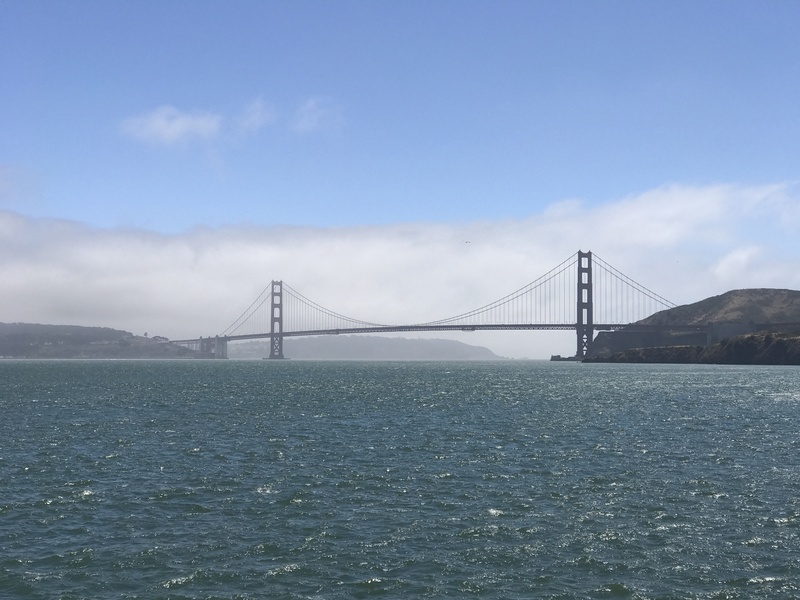 Rent bikes and ride across the Golden Gate Bridge to Sausalito. If there is one activity I would most recommend while visiting San Francisco, it would be this. You can rent bikes from any number of outfitters (we rented from New Holiday Adventure). Just choose your preferred type – mountain, road, tandem – and set off on an adventure. 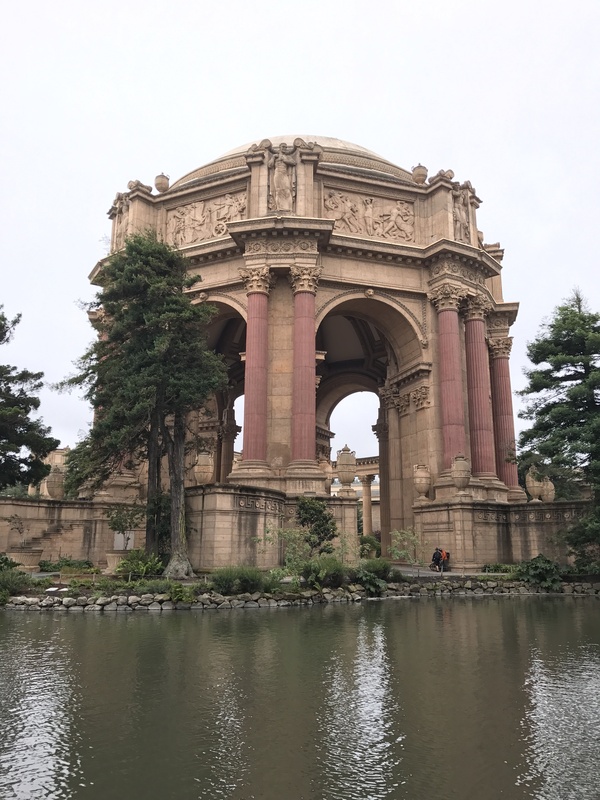 We biked to the Palace of Fine Arts, where we walked around the beautiful gardens. We then headed through Crissy Field and the Presidio and up a massive incline to cross the Golden Gate Bridge. We stopped along the way to take photos and admire the views. 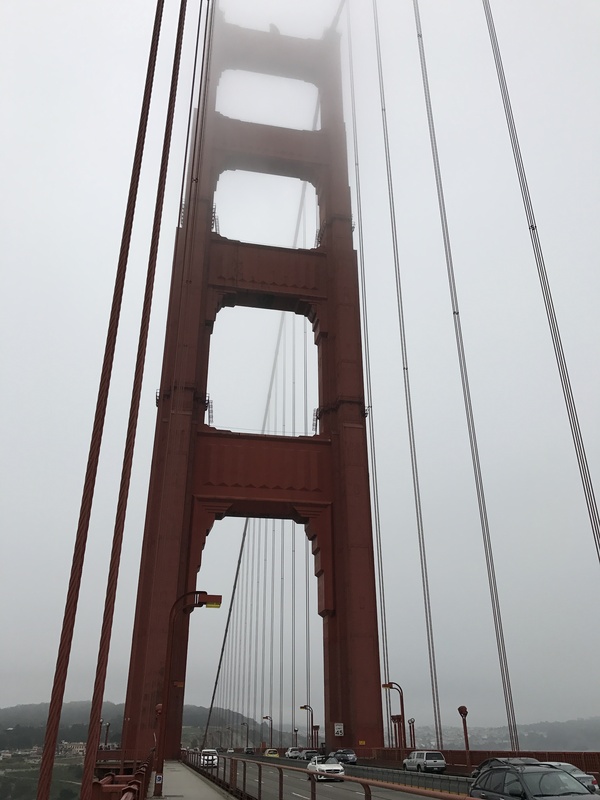 We heard that the bridge is covered in fog most of the time and it certainly held true for us. 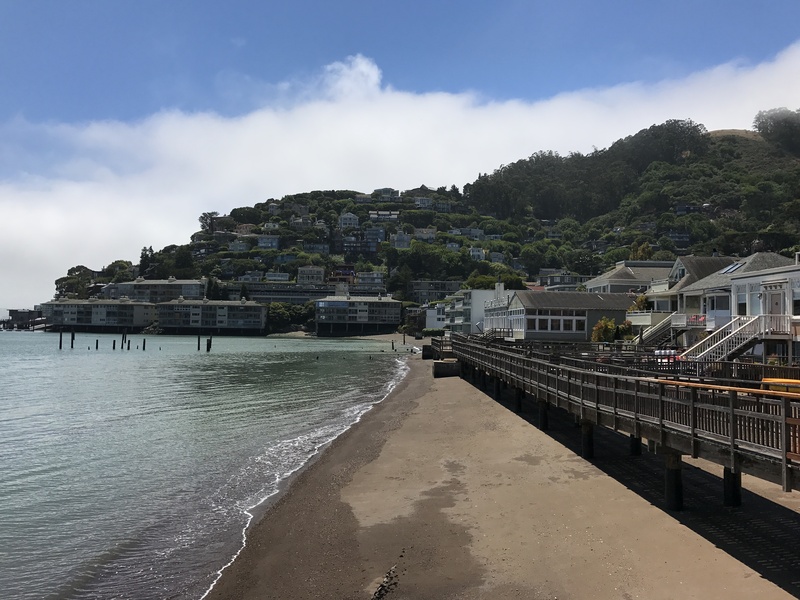 However, as soon as we got to Sausalito, the skies opened up and the sun shined brightly, perfect for exploring the charming waterfront town. While there, we had lunch at Salsalito Taco Shop. It’s a cute little Mexican restaurant and the perfect place to fuel up after a long bike ride. Rest your legs and take the Blue and Gold ferry back to Fisherman’s Wharf. 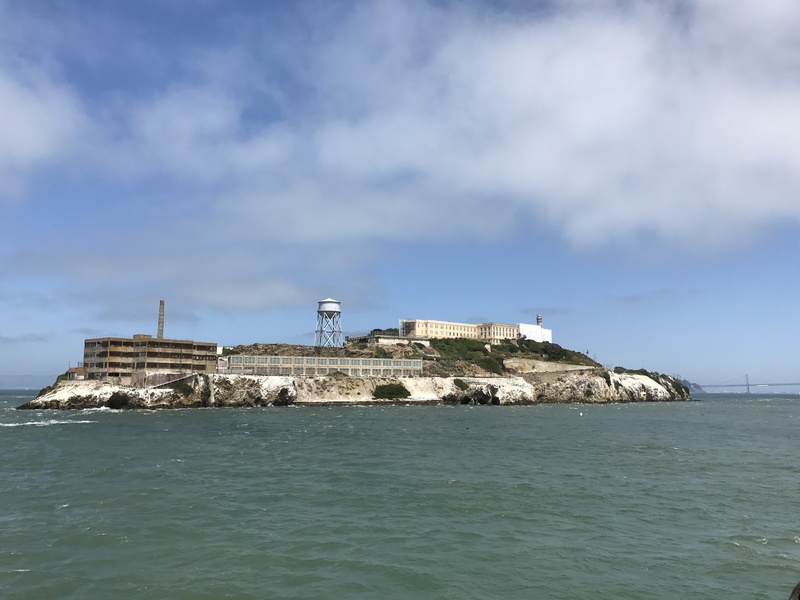 Tons of bikers do this and you can actually lock up your bike on the ferry and sit on top to enjoy the views of Alcatraz and the Golden Gate Bridge on the ride back. 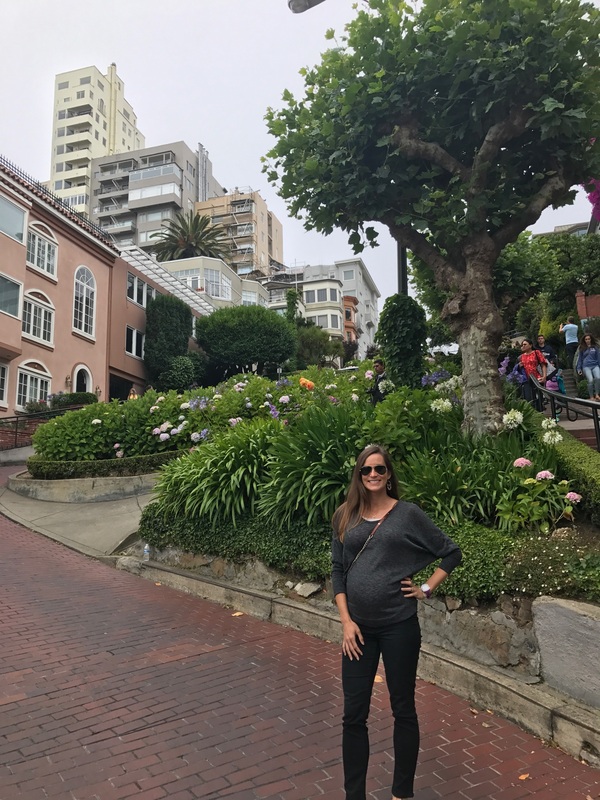 Visit the crooked portion of Lombard Street. 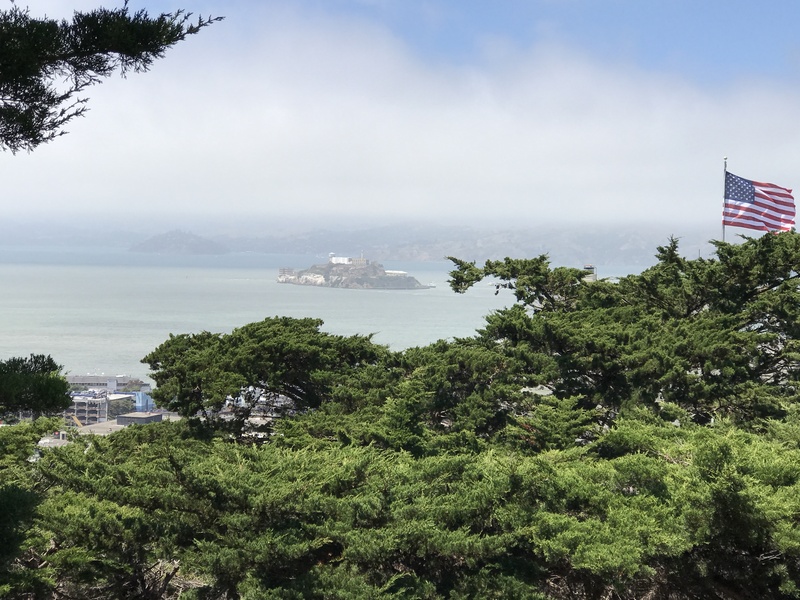 It’s actually known as the “crookedest street in America” and you can’t miss it because it’s filled with tourists! It’s such an interesting road and we commented that we could not imagine living in one of the homes on it because you’d have to deal with tourists driving down it every day. Have a California brunch at Eight AM. And if you don’t want to wait in a long line, I’d recommend also getting to the restaurant at 8 a.m. This breakfast joint is fast, fresh, and delicious! It’s not fancy inside, but don’t be fooled. The breakfasts are beautiful and the fruit bowls are on point with none of that boring melon. These have kiwi, bananas, pineapple, and a mix of juicy berries. 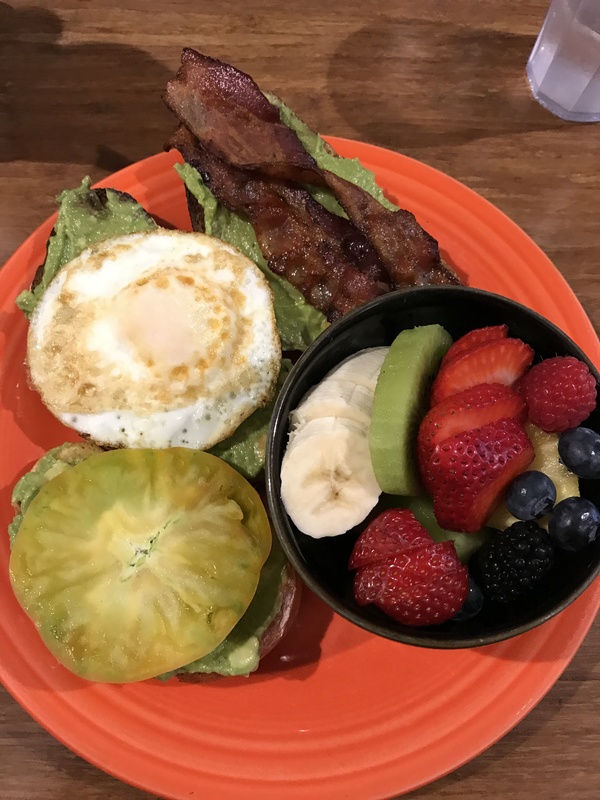 What to order: Avocado toast three ways and a fruit bowl. 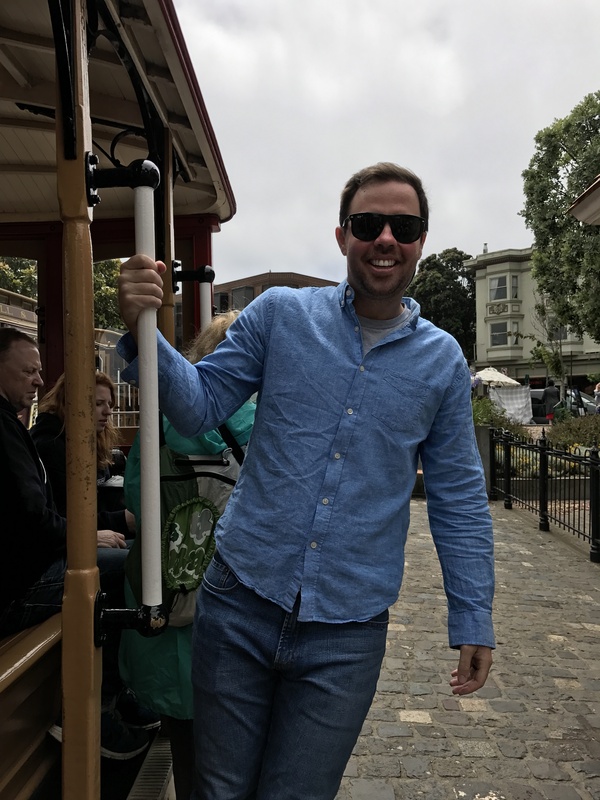 Take the cable car to Union Square. 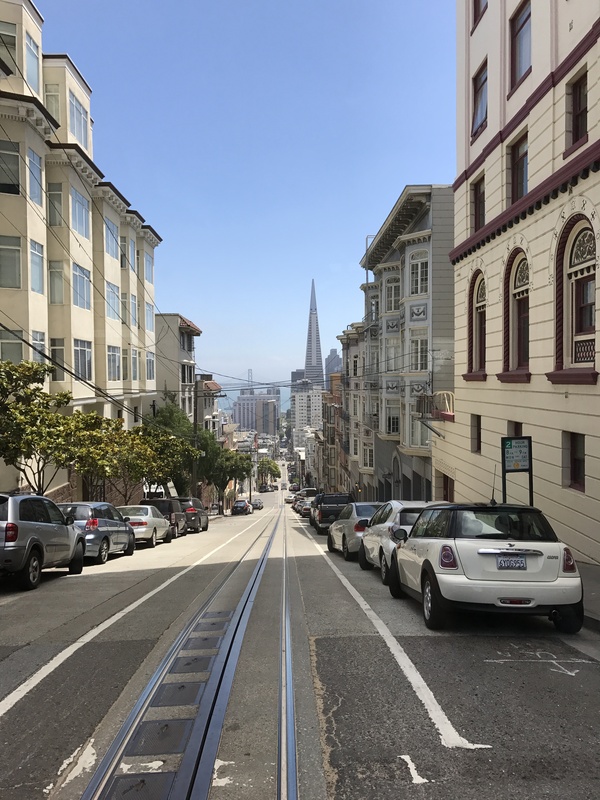 For only $7 per person, you can have the ultimate San Francisco experience of hanging out of a cable car down one of the big hills. 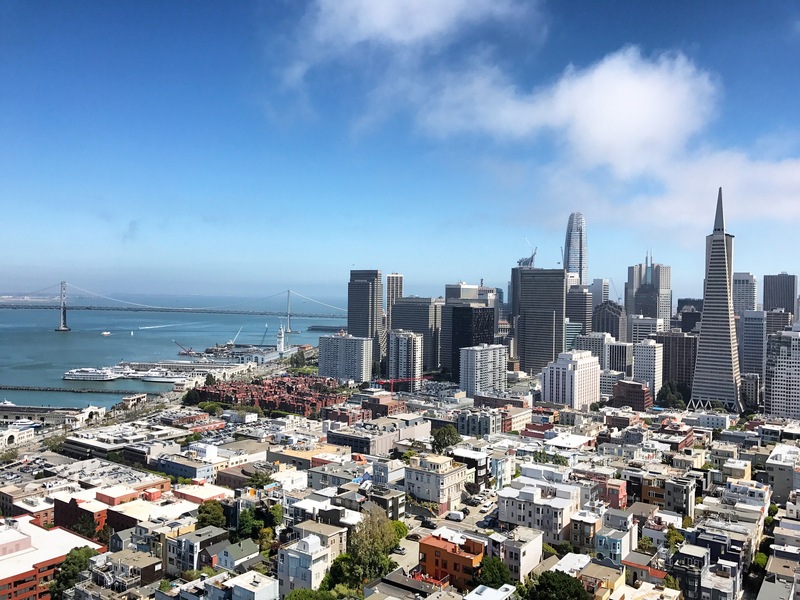 Powell Hyde is one of the most popular and goes from Fisherman’s Wharf past Lombard Street to Union Square. Visit Chinatown, but eat lunch at Kin Khao. 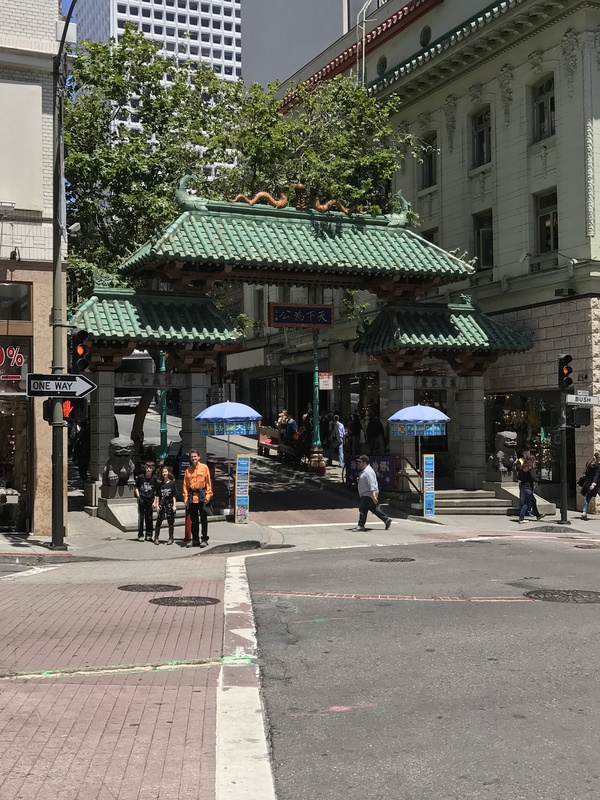 Chinatown is a must, but it’s definitely touristy. Pick up some dragon’s beard candy for later but have lunch at Michelin Star restaurant Kin Khao in nearby Union Square. Everything is local or sourced from Thailand and all curry pastes and sauces are made in-house daily. What to order: Khao Mun Gai, Yaowaraj Noodles. Stop for a photo-op at the Painted Ladies. 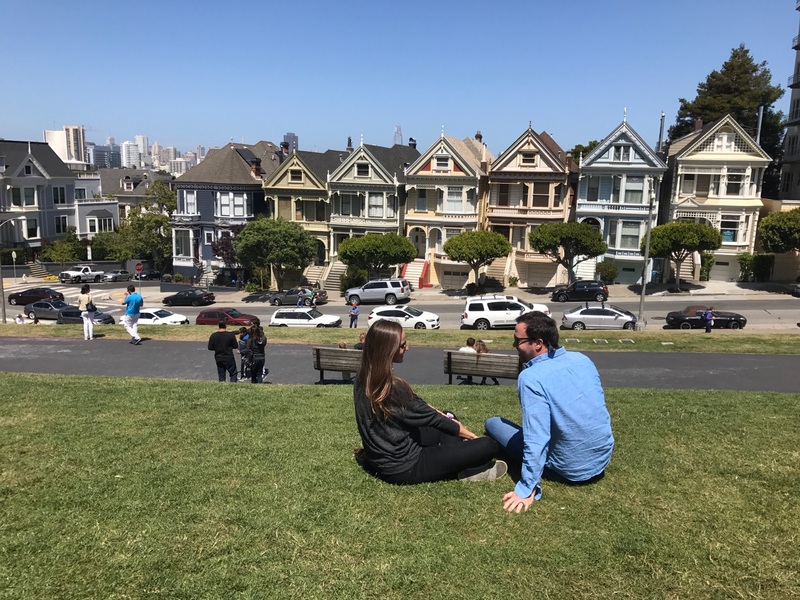 90s babies and Full House lovers must make a trip to Alamo Square Park to take photos of the Painted Ladies and play in the park. Get Greek soft serve with baklava at Souvla. The perfect sweet afternoon treat, Souvla has several locations so you can stop at the one most convenient to you! Souvla also offers gyros, Greek fries, and several other types of frozen Greek yogurt. An authentic taste of the Mediterranean in San Francisco. 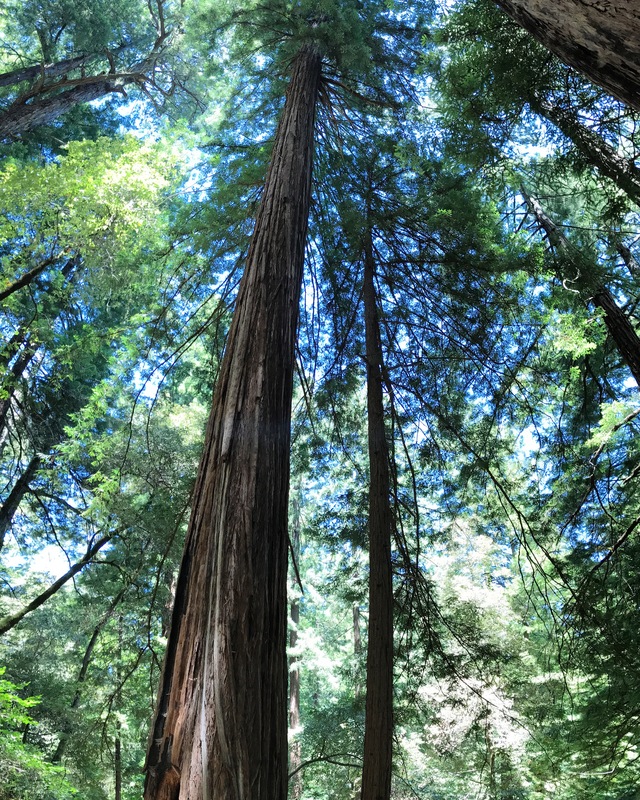 Visit Muir Woods. 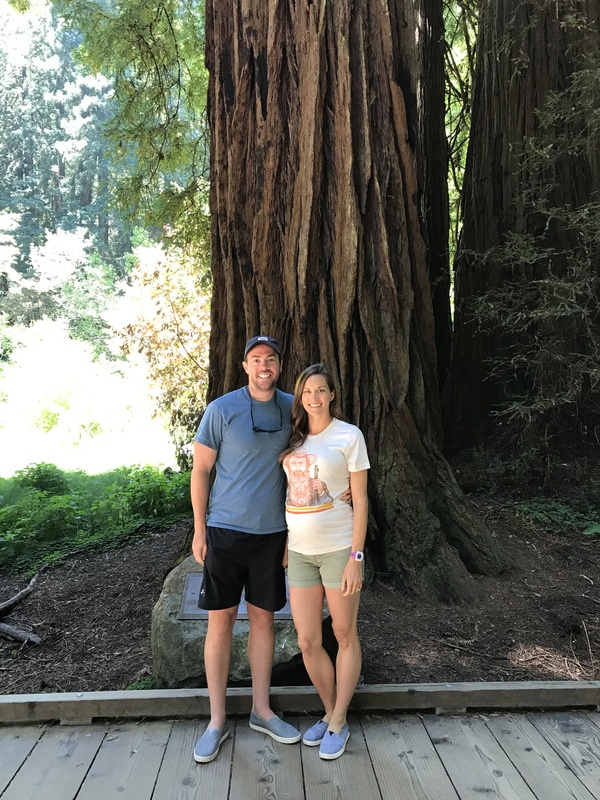 If you want to see the giant redwood trees, but don’t have the time to drive up to the national monument, Muir Woods is a great substitute. You can expect it to be very crowded and difficult to find parking, but the crowds dissipate the farther you get into the park. There are several trails in the park that we found to be empty of tourists and we enjoyed the peaceful reprieve from the crowds. 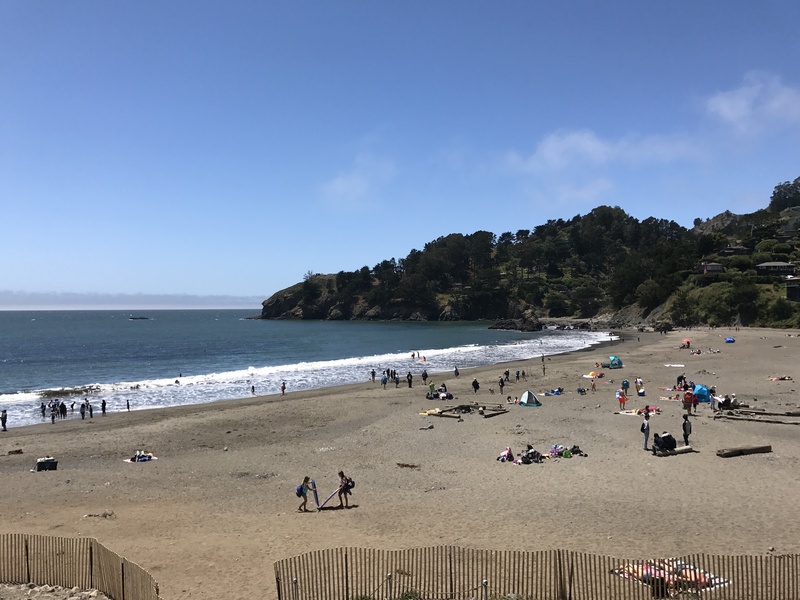 An option to avoid the parking hassle is to park in Sausalito and take a free shuttle into Muir Woods. 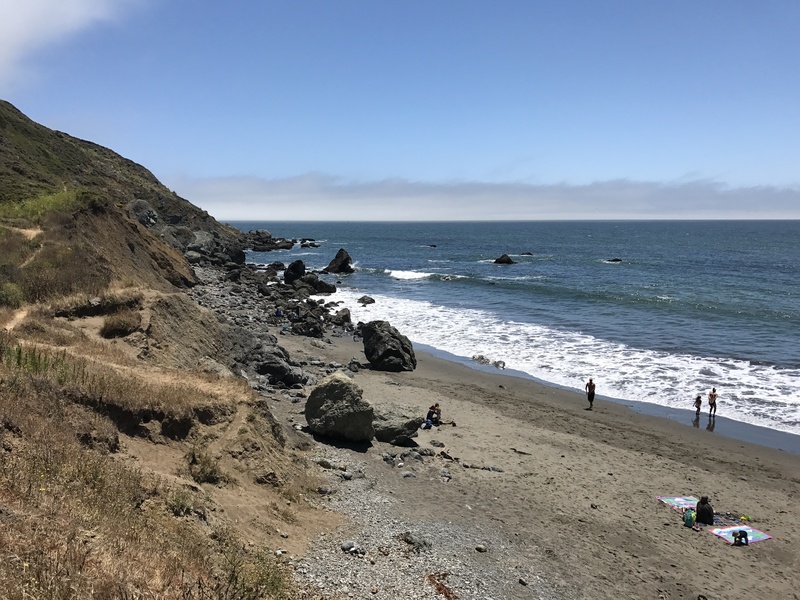 If you drive yourself, after you leave, stop by Muir Beach for a beach walk or picnic or visit Dipsea Cafe for a souvlaki lunch. 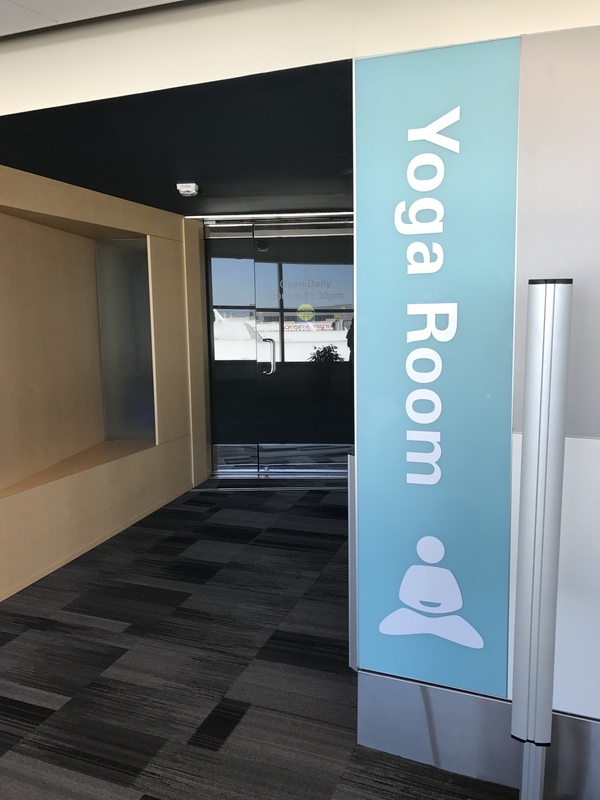 Do yoga in the SFO airport yoga room. And on your way out of San Francisco, don’t forget to stop in the yoga room for a stretch and some quiet time. I loved the yoga room and encourage all airports to consider adding a quiet place for travelers to get some exercise! And that’s it for our trip to San Francisco! Next up, I’ll be recapping a wonderful weekend spent with our friends in Santa Cruz. Northern California in the summer is a great place to be! 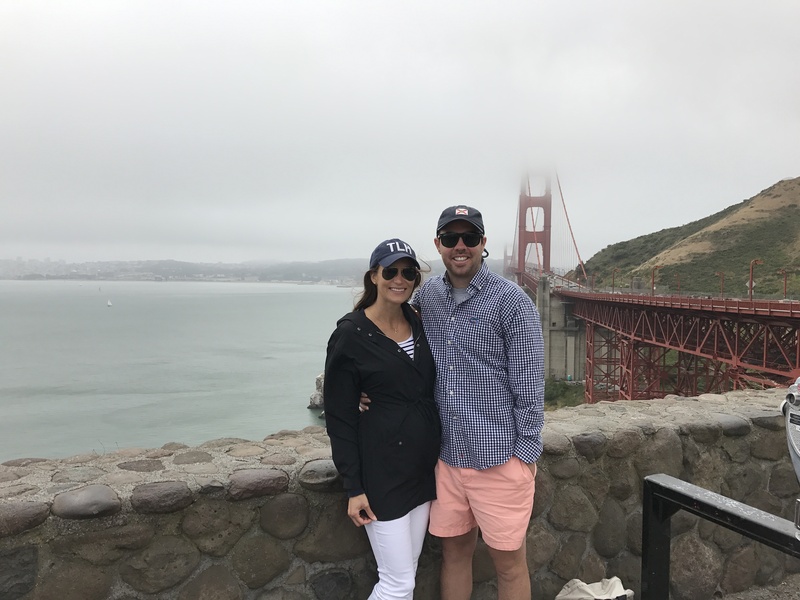 One of my favorite photos from our trip…we tried to get a “sunny” picture with the bridge, but it was way too windy!